Interesting account of Smuts which emphasises his visionary opposition to the harsh terms imposed on Germany by the Treaty of Versailles. The book repeats the interesting assertion made in RW Johnson's The Beloved Country that it anything happened to Churchill in World War Two, because of his intellectual and strategic brilliance, Smuts was to replace him at the head of the British and Commonwealth War effort. Interesting story about a seemingly influential man in the first half of last century. His role in the disenfranchisement of blacks, coloureds and indians is for some reason missing. Writing is wooden, to the extent that it took me weeks to finish the book. Antony Lentin - Antony Lentin, formerly a Professor of History at The Open University, is a senior member of Wolfson College, Cambridge, and the author of Guilt at Versailles: Lloyd George and the Pre-History of Appeasement (1985), Lloyd George and the Lost Peace: From Versailles to Hitler (2001) and The Last Political Law Lord: Lord Summer 1859 – 1934 (2009).A Barrister and former law tutor, he has contributed entries on lawyers, including Lords Sumner, Bowen, Loreburn, Reading and Maugham, to the Oxford Dictionary of National Biography (2004). 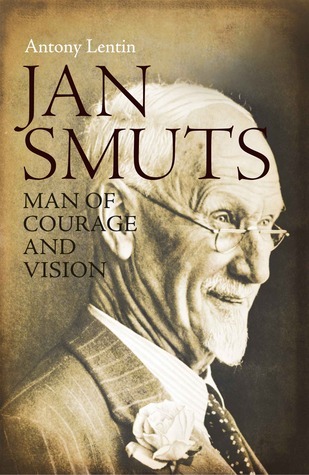 In September 2010 Anton Lentin wrote Jan Smuts: A Man of Courage and Vision, a book which reasseses the life of one of South Africa’s great leaders. Professor Lentin’s other main interest is eighteenth-century Russia, on which he has published widely. He is a Fellow of the Royal Historical Society.